It could have been anyone. Of the faces in the crowd, there was one man among the many buried, with no visible burden he carried. He had two sons at his side as one suffering passed by . Perhaps before this alarm he should have had his younger son in his arm. If only he had held up his boy, he would not have been roped into this ploy. 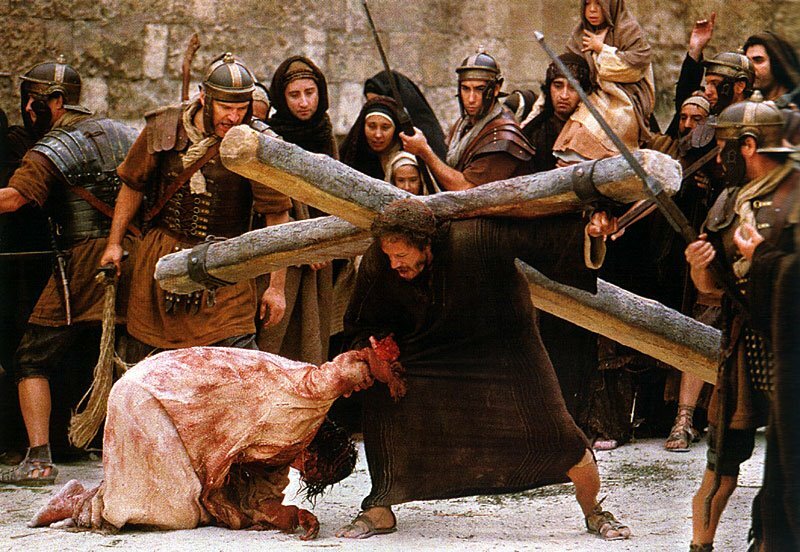 Maybe he handed the younger to the older while commanded to carry this cross on his shoulder. A great burden. The One who had fallen under while bearing could go no further while carrying. Now they turned to him, compelling and so he lifted, begrudging. The man who had fallen under its weight was still face down in a horrible state. Going on burdened from that place, he failed to catch a glimpse of the other’s face. The face he would finally see when the cursed Man was lifted up on the tree. 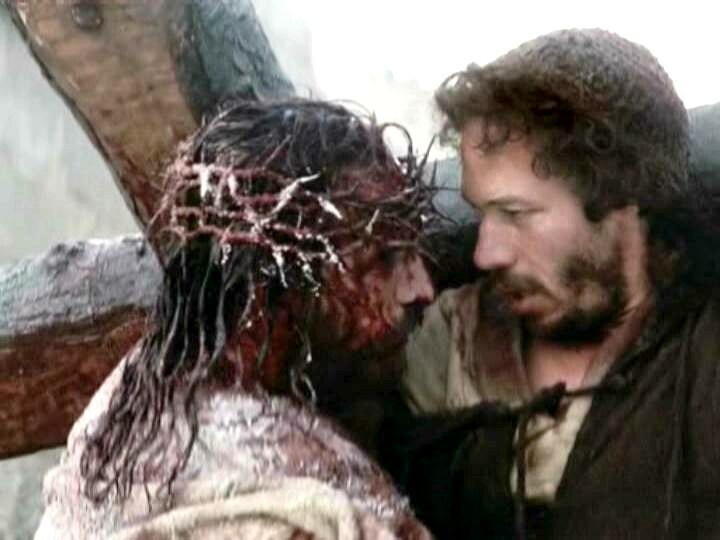 Days later he would see him risen from the dead and knew that it was on his burden that this man died in his stead. Consider the burden or yoke that Jesus had to carry in His life and the one He asks us to carry and the problem quickly becomes evident. What was the burden He carried? Need a hint? A CROSS!?!?! Now wait just one minute! Whatever happened to all that easy, light and rest stuff that He was mentioning before? This cross business doesn’t seem to match well with those consoling words. Was Jesus being sarcastic or ironic? Or worse, was Jesus deluded or uncertain about what His mission would become when he faced opposition? Or even worse, did Jesus know that this is the burden he would be asking us to share and he misled us in thinking it would be different? But, we know from everything else Jesus said and did that He was not seen as delusional or deceptive by those who were closest to Him. 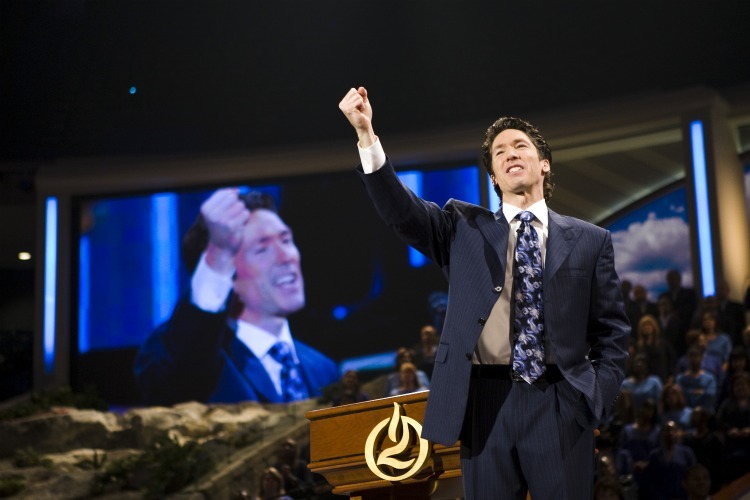 Joel Osteen- pastor of largest evangelical Church in America. See the problem? We are told that if we follow Christ and take His burden upon ourselves it will be ‘easy, light and restful’. But, we also clearly see that this burden is a cross just like Christ’s and that this cross is one that includes suffering. Where does this leave us? Let’s return now to Simon, the Cyrenian. His brief encounter with Jesus may be the key to understanding how the burden Christ calls us to carry can both be a cross and also light. 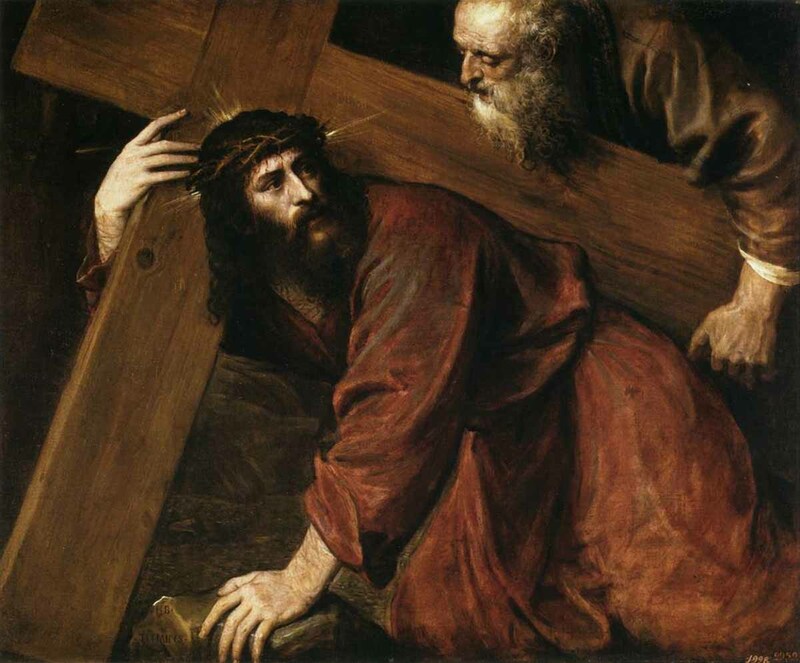 Simon is called upon to carry Jesus’ cross at the moment when Jesus is most weak in his humanity. After the flogging and beatings he endured the previous evening and the early morning, Jesus was exhausted. But, now there is something important we need to consider. Jesus was also God. He is both Son of Man and Son of God. 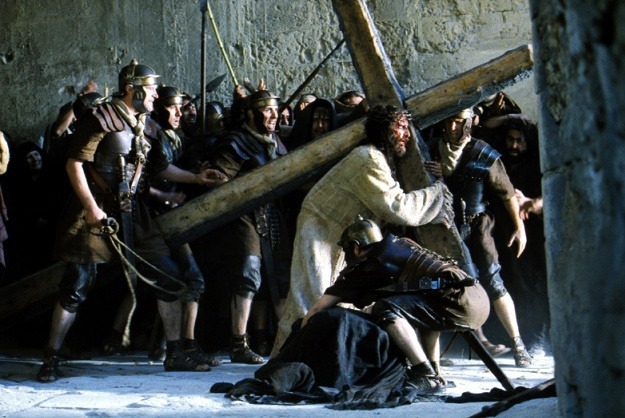 At any moment he could have chosen to draw from the power of His Divinity to provide Him with the strength to carry the cross to the place where He would be crucified. Therefore, we have here Jesus choosing to remain in His humanity and frailty. But why? Perhaps Jesus’ reason was to give us a glimpse of what following Him will be like for each of us. 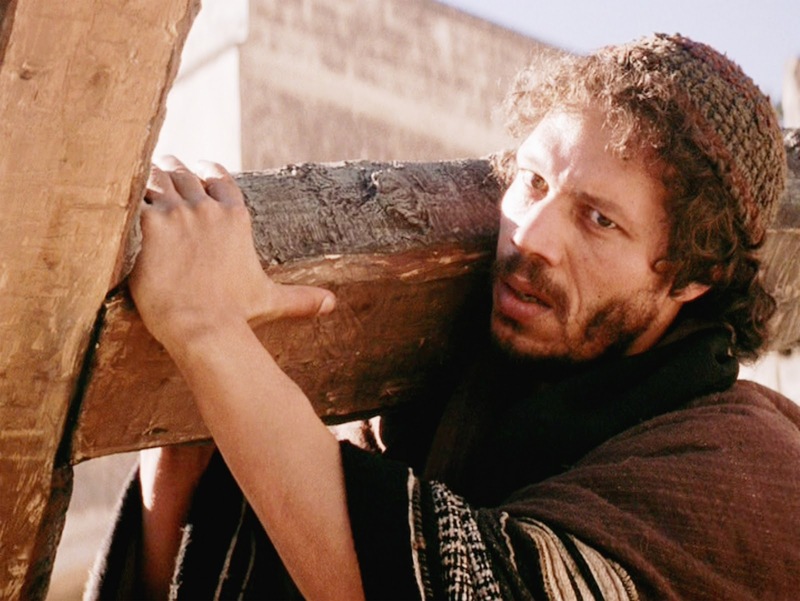 Jesus, by choosing to remain weak, shows us how to carry the burden of the cross. That we are not called to carry burdens alone and by our own strength. This cuts against our individualistic sensibilities that have been prominent here in the West. Independence and self sufficiency is the air we breath in the USA. But this cultural value is not a gospel value. The gospel value is to share the burdens of one another (see Galatians 6:2). 1. Pray in the presence of Jesus in the Blessed Sacrament. Being present before the Lord in quiet allows Jesus to do his work on us. During these times, be direct with Jesus when asking for help with a burden. Does Jesus know our burdens before we even ask him for help with them? Of course! But, it is in praying and asking that we are the ones that change. We slowly show less resistance to His help. We becomes what Jesus calls us to become; like little children. Children learn a lot about the love of their parents when they seek help from them. The same is true with us and God. 2. Attend Mass as often as possible and be attentive to the needs of the parish community. One of the unhealthy trends in our day is the tendency for people to parish hop. One of the consequences of our ease of mobility has created an environment where we don’t settle into community with others. We float. We never become neighbor, brother or friend with people at our parish. Think of how unlike Jesus this is! Jesus, in his incarnation, we confess he “came down from heaven”. His feet remained on the earth until his ascension. And even then He remains with us in the Eucharist and through the communion brought about by the Holy Spirit. When we begin to connect with people at the parish and participate in the mission of Christ that flows from the celebration of the Mass, we encounter the burdens of others and others encounter our burdens. 3. Regularly participate in the Sacrament of Reconciliation. Jesus, through his priests, offers to draw near to us in our failings and the burdens of our sin. 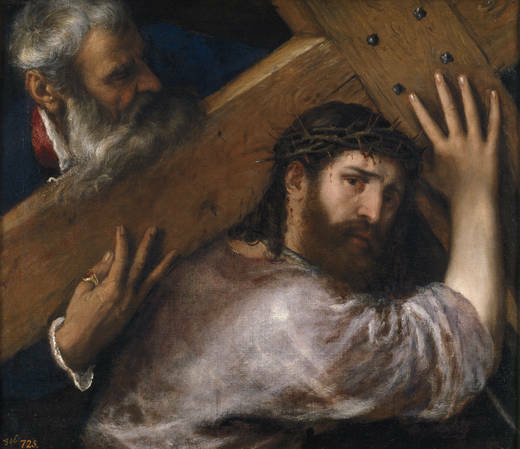 By regularly bringing these faults to Jesus in confession, we receive relief from our burdens and this frees us to help others with their burdens. Many of us stubbornly hold on to our sins and do not seek relief from them. When we do this, how can we help someone else with their burdens if we won’t bring our burdens to Jesus? I realize that these suggested practices are not revolutionary. They are very basic. But, in life we get most off track when we fail to practice the most basic things. We tend to find it most difficult to do what is most necessary. We can think of the rich young man who met Jesus. Jesus said that there was only one thing he lacked. The thing he lacked was both very basic and also very difficult because of what the young man saw as most valuable. There is reason to hope though, Jesus reminds us that left to ourselves that doing these basic things would be impossible for us. But Jesus quickly adds this: “with God all things are possible.” (Matthew 19:26) Will we allow Christ’s grace to have His way in us? Will we let Jesus be Simon or Samwise in our life? Will we be willing to share a person’s burden like Jesus shares ours? 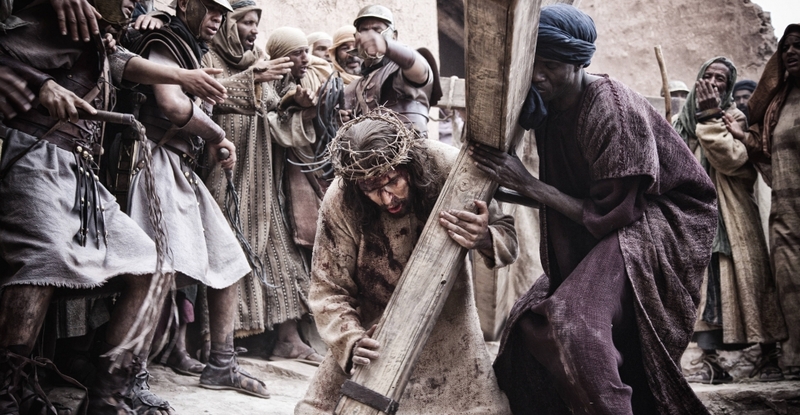 Jesus calls us all to pick up our cross and follow him if we want to be His disciple. The good news is that He never intended for us to carry it alone. “Simon” is ready and waiting to share our burdens now. May God give us hearts willing to share our burdens with Jesus and willing to share the burdens of others! NextGone God: In Movies and Marriage.